The White Chef Revival Chef Hat is a traditional look for professional chefs. Made from a high quality poly cotton blend it promises high performance and longevity. The Chef Revival Chef Hat is versatile, it features a universal fit. It has an adjustable Velcro head band allowing a custom fit. Chef Revival's Chef Hat is for men and women making it very versatile. The Chef Revival Chef Hat is washing machine friendly, making it easy to sanitize and clean. Chef Hats are very important for any restaurant environment. In the kitchen its easy for loose hair to fall into food. Chef Revivals Chef Hat will prevent cross contamination. The Chef Hat is 13" tall an excellent height for cooks. Chef Hats are meant for commercial settings. 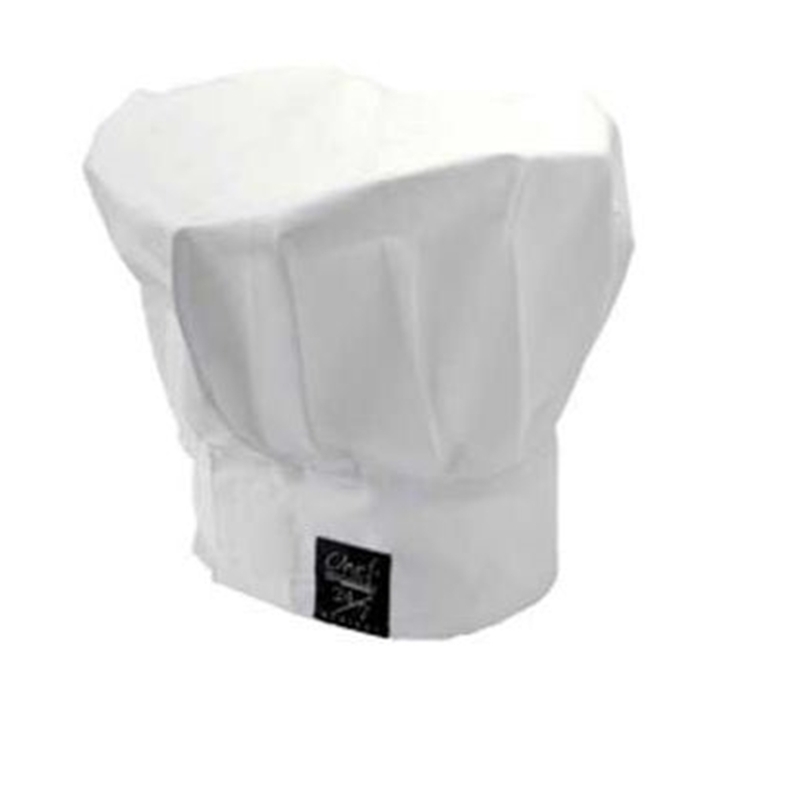 We recommend the Chef Revivals Chef Hat to a restaurants executive chef.